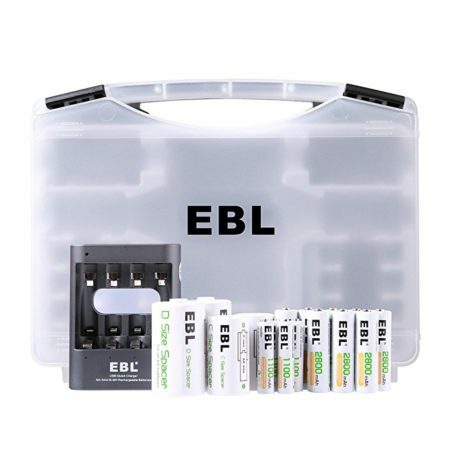 This LED flashlight is very useful in your everyday life. 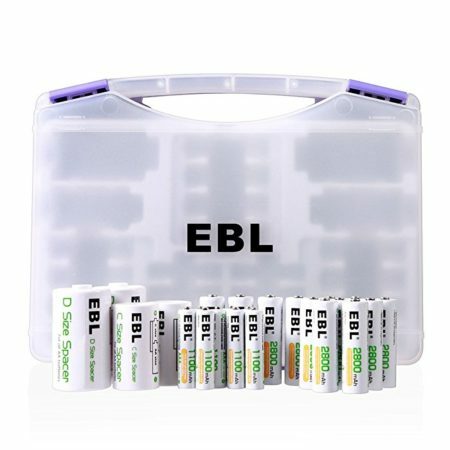 It’s powered by 3 AAA batteries, or one 26650 or 18650 rechargeable battery. 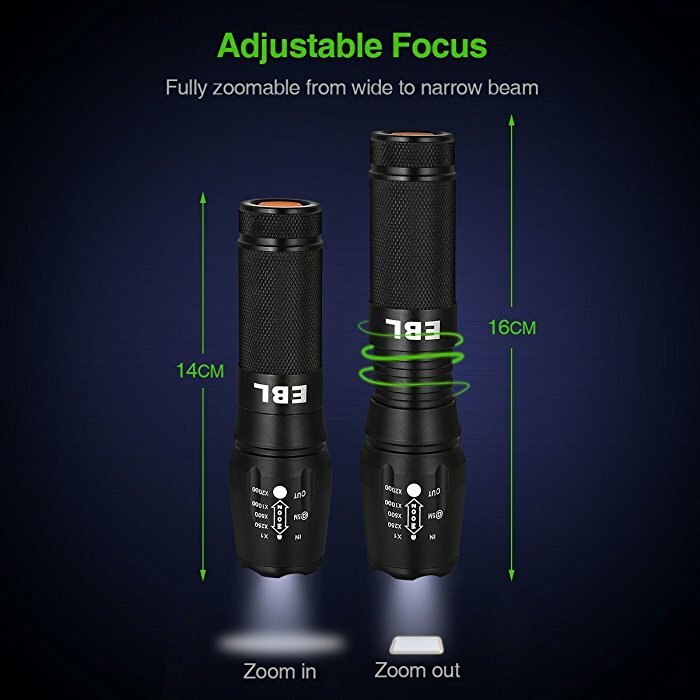 Compact size: You can use this flashlight anywhere you like. A small size makes it ideal for indoor and outdoor activities. 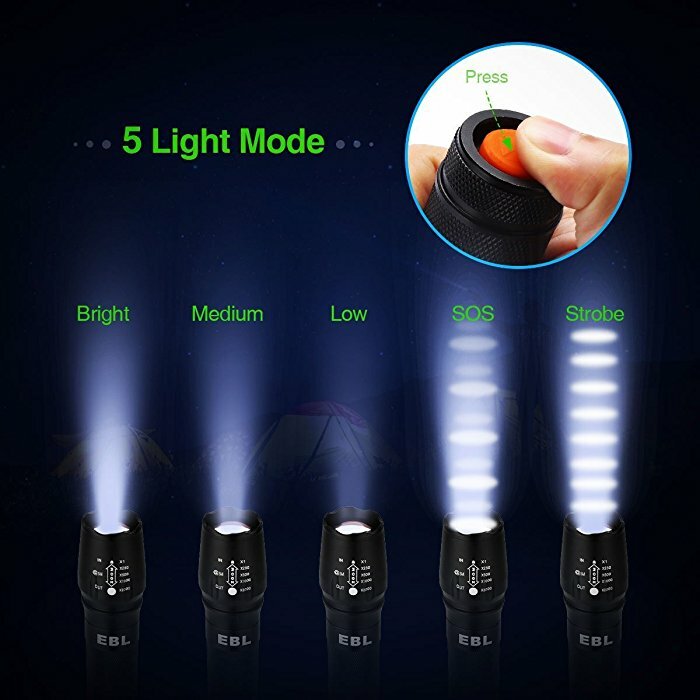 Five Modes: It has 5 modes for different brightness, High, Medium, Low, Strobe and SOS. 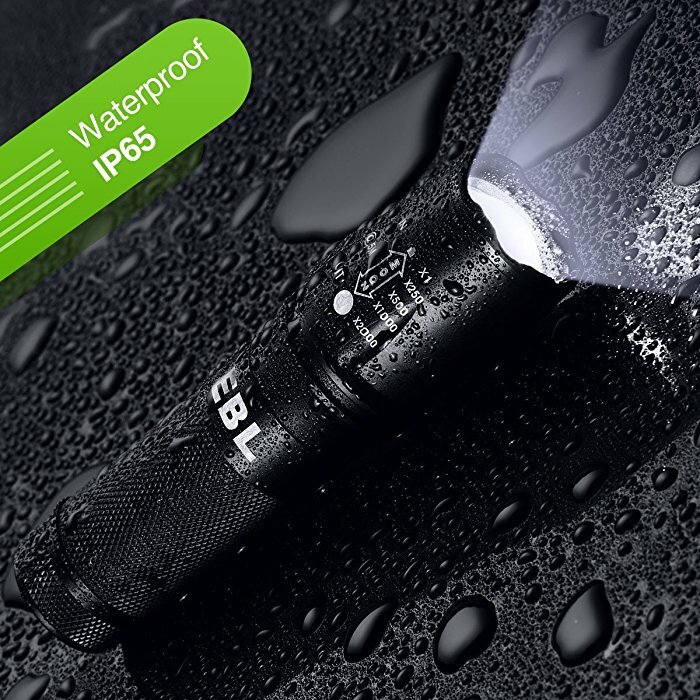 Durable Waterproof Flashlight: IP65 waterproof rating allows you to use the flashlight in the rain. 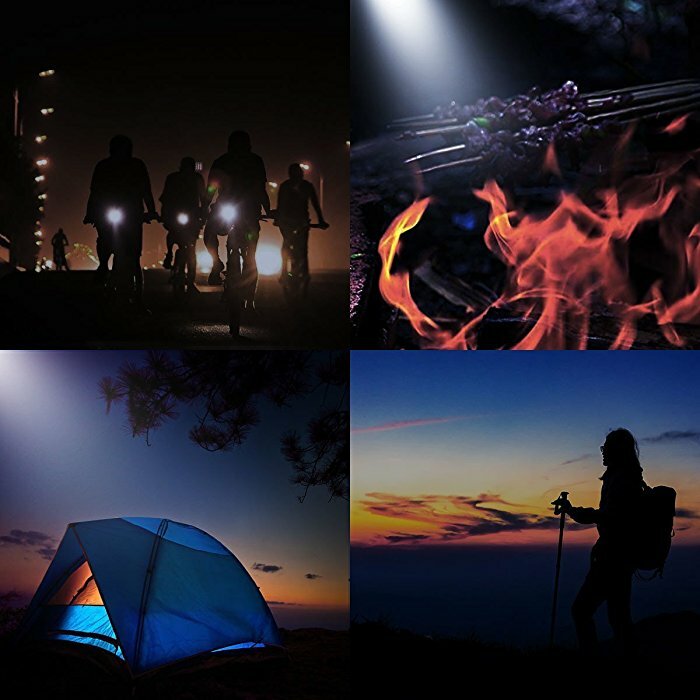 Performance: Made of Aluminum alloy for the shell, and equipped with Cree XML-L2 chip, the flashlight features 1200 lumens and 100000 hours’ long lifespan. 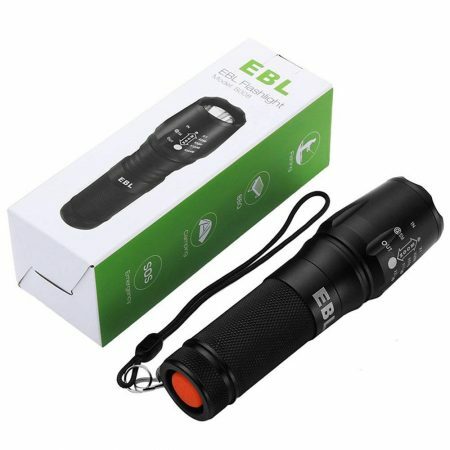 This EBL LED flashlight has an ergonomic design. It’s beautifully made to fit human hands. 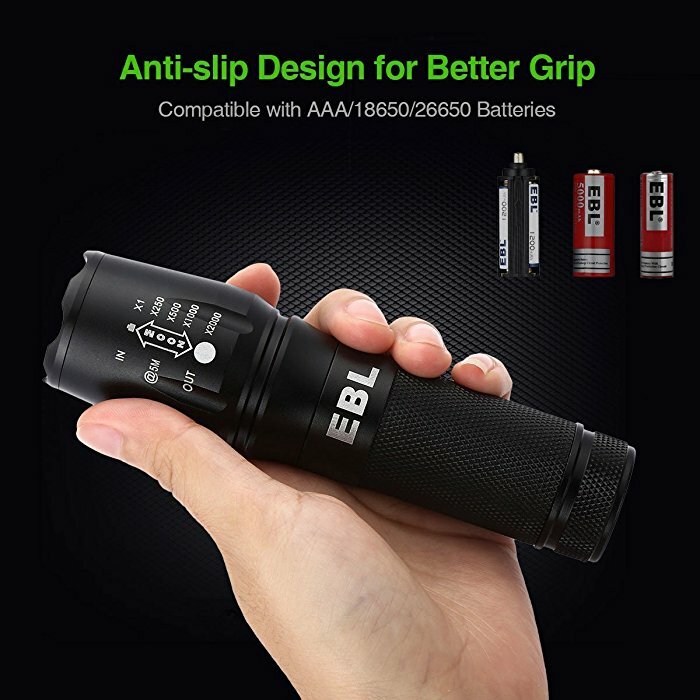 You can hold the flashlight comfortably. 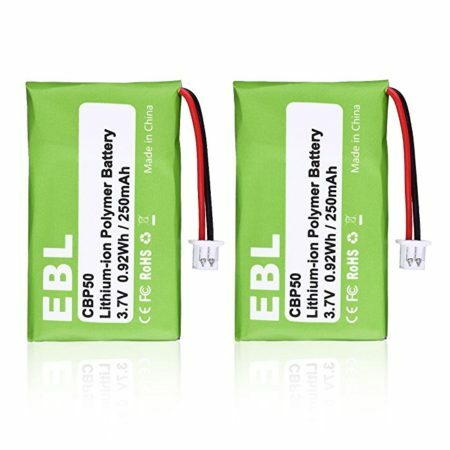 It’s powered by one 18650 or 26650 battery, or three AAA batteries. 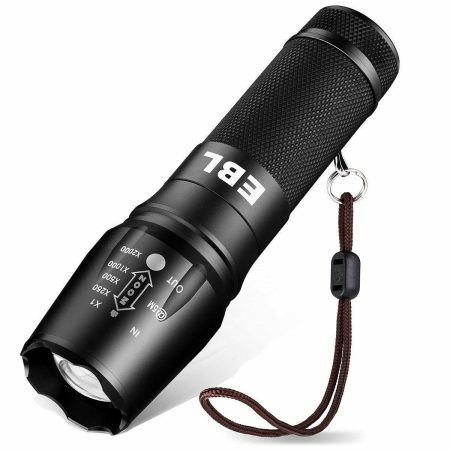 The flashlight can provide long hours’ lighting. Five modes make it more helpful for different needs.